Today, I'm rolling out the store component, and I'm super excited about it. I've been so grateful for all the new readership and encouragement on the blog, and I hope you find some interest in the store as well. I'll be experimenting with products and stock amounts, so please let me know any feedback you might have. I'd like to showcase an item in this post, and it's one that I'm really proud to carry. I've used a similar bag for a while now, but it wasn't the greatest quality and I was looking for a tougher, better-made version for a while and wasn't finding what I wanted. Enter Heritage Leather Co. I think I found these guys via svpply.com, and was immediately impressed with the look. After reading up on them, I was even more excited. 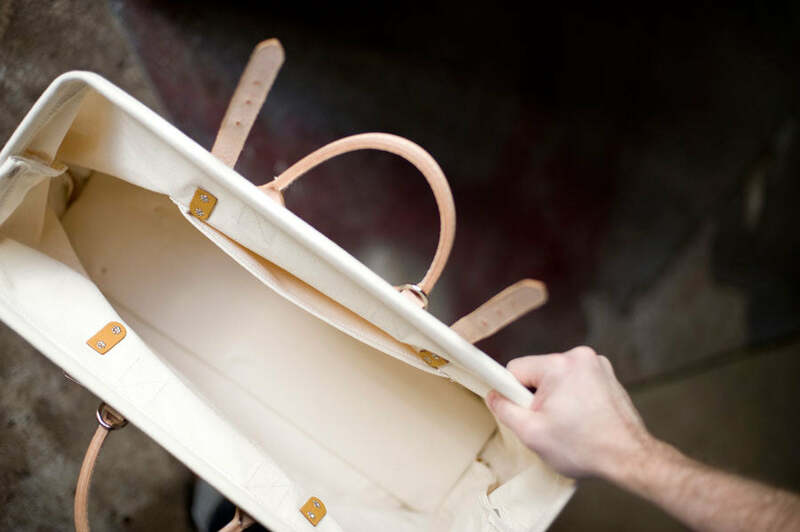 Their bags are made in America, and are of excellent quality. 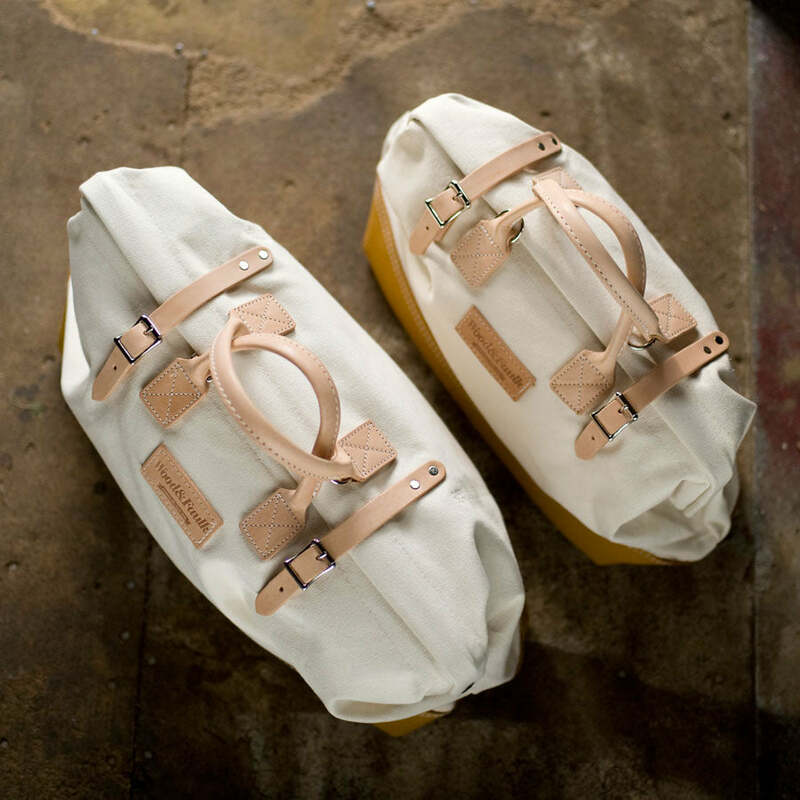 Good leathers, strong canvas, solid hardware. After talking with them, I decided to order a small quantity; one spec'ed simply and one with a little more refinement. 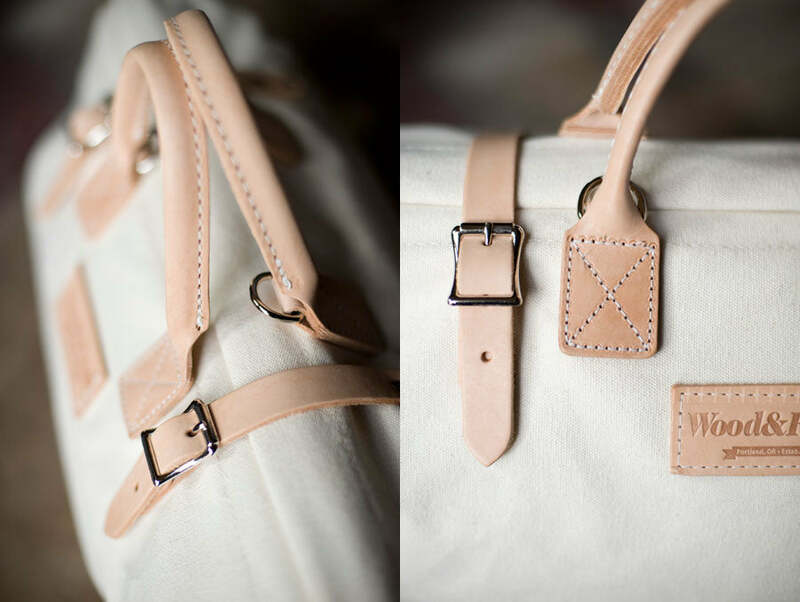 In the shop, you'll see I have one with nicer leather and an included strap. For this feature, let's look at the standard model. 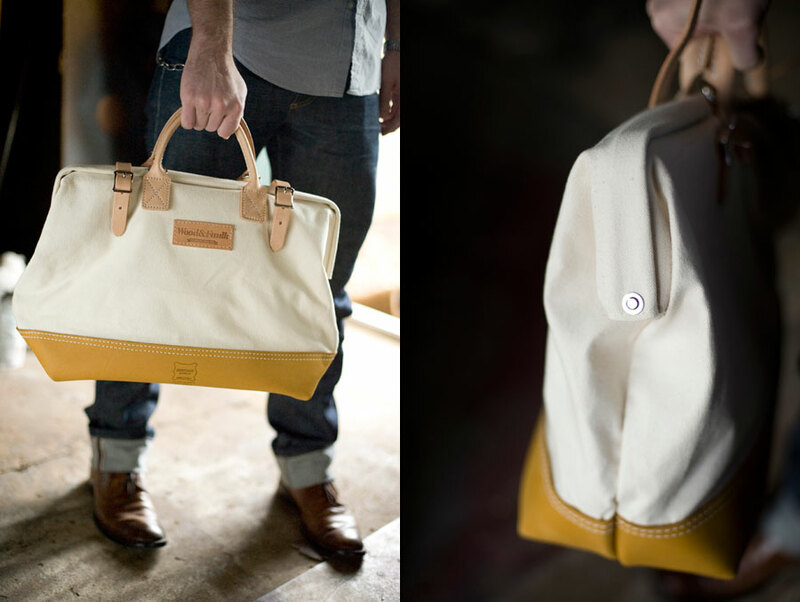 It's made with heavy 'moccasin' leather bottom, heavy cotton canvas body, and top-grain leather handle and straps. Super sturdy and ready for your pile of tools, outdoor gear, camping supplies... anything. I'll be offering two sizes: 20inch is roomy for lots of gear and a 16inch that is great for fewer tools, but still a generous size. The 16in could even make a good briefcase or laptop carrier. P.S. So thankful to the amazing Lisa Warninger for the photos!